Tell it what you want and it does it! Switch between two telephones, listen to your music, let it be your guide… The Parrot Minkit Neo 2 HD includes several features to help you concentrate on the road. With the free Minikit Neo 2 application, you can even ask it to do more, like find your car. Easy to install and use, it gives you HD-quality sound. BUSINESS OR PERSONAL – SWITCH BETWEEN TWO TELEPHONES! 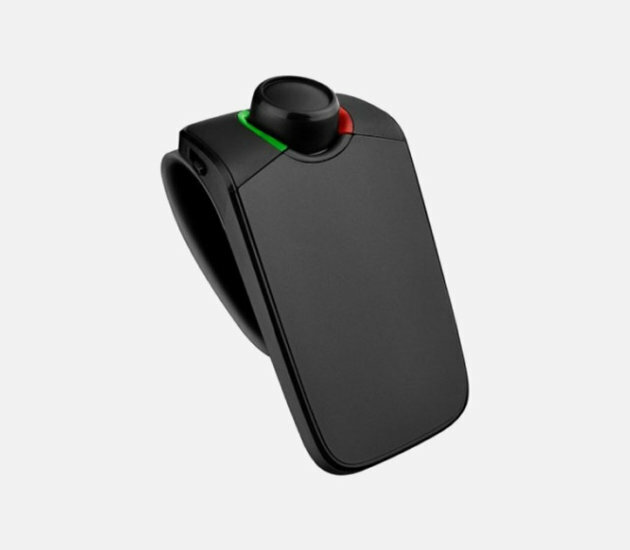 The Parrot Minikit Neo 2 HD includes Parrot Dual Mode multipoint technology, allowing you to connect to two Bluetooth® telephones simultaneously and use one or the other easily. With the Switch feature, you can easily use your two telephones’ contact lists. Worried you might get them mixed up? No chance! The Parrot Minikit 2 HD notifies you of calls with different ringtones: you instantly know which telephone you’re answering and who you will be speaking to! ENJOY THE BEST SOUND ON CALLS. Set it up easily on your sun visor! Whether giving you information or transmitting a conversation, the communication quality is exceptional. With noise and echo reduction, enjoy high-definition sound! Enable “Magic words” to make calls without touching anything other than the steering wheel. Want to make a call? Simply say the word “MINIKIT” to activate voice recognition then say the name of your contact: the Parrot Minikit Neo 2 HD will recognise the name and call them for you. Is your phone ringing? It tells you who is calling. Simply tell it “accept” or “refuse”: it’ll obey your instructions! ENJOY YOUR SMARTPHONE’S NAVIGATION OR MUSIC. And when you’re not making a call? The Parrot Minikit Neo 2 HD is still useful. Thanks to its A2DP Bluetooth® audio profile, you can listen to your smartphone GPS application’s navigation instructions and stream your music. When someone tries to reach you, everything stops automatically and starts again as soon as you hang up. You can also use the keywords “Hello Siri” and use “Siri Eyes Free” to ask your iPhone anything!